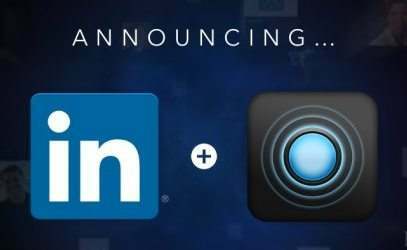 Click image to read LinkedIn Pulse acquisition announcement. LinkedIn is often described as a place to put your resume online, but the networking site wishes to transform into a useful resource for people working in any field. The slower-moving social network is getting a big push in momentum by Pulse. 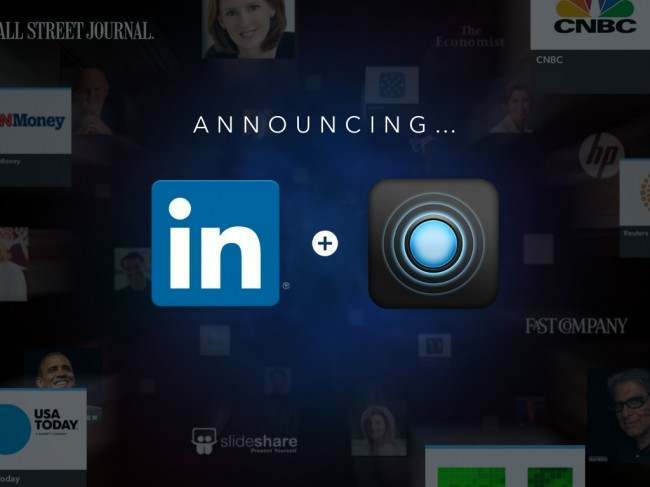 Pulse is a three year old app that will be used to provide a fresh content stream to LinkedIn. Coming from more than 750 media partners, LinkedIn will become more than an occasional site to visit. When LinkedIn becomes a publishing platform for professionals, you’ll see users visiting daily. Pulse suggests articles and displays them in a photo-based grid that is especially well suited for smartphones and tablets (a wise move). Users can tailor their feed by picking sources that are of interest to them. By default, algorithms that consider your network and interests will choose for you. More content will bring users back more often and get them to spend more time on LinkedIn. The more time spent on a network, the higher advertising rates for ads will be. LinkedIn currently makes money from premium subscriptions, search tools used by corporate recruiters, help-wanted classifieds, and other ads. Driving page views and on-page time will drive up ad dollars. LinkedIn’s tactics seem to be working so far. Revenue figures have outperformed estimates in every quarter since the company’s initial public offering. Providing a stand-out way to disseminate professional information to a professional audience just may be a differentiation strategy worthwhile enough to compete with social sites that are vying for the time of networkers. Watch out Twitter and Facebook! The social splintering into more narrow-based services proves that content is king, but so is context. Please share your thoughts for the future of LinkedIn or any success stories you’ve had from time spent on the professional network in the comments below. You left out Google +. The primary attraction of Google + over the other social networks is the ability to aggregate topic specific posts and users and separate them into their own isolated groups. In my opinion, Linked In’s new acquisition would serve the same purpose.